Back in May, I reviewed May's Nonabox and inside was a pack of My Name Tags, well, name tags! 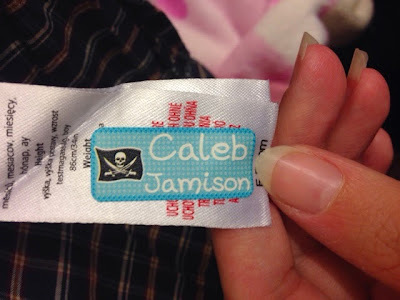 I stated that I really liked the idea of them but they did only say 'my baby' and I would have preferred them to have my child's name on them. Not long after, I received an email from My Name Tags offering personalised ones for me to review. I was so pleased as I wasn't able to use the 'my baby' ones. My Name Tags are completely personalised to you. You are given the opportunity to choose the text, background colour/design, image, font colour and font. 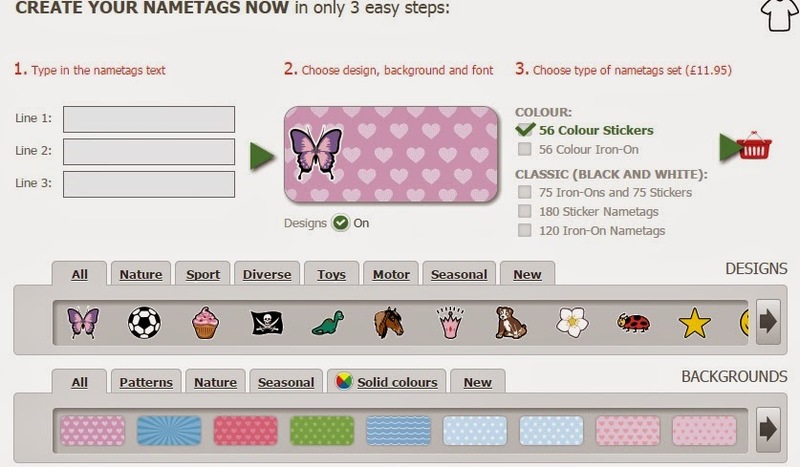 You can also choose whether you want colour stickers or iron-on transfers or you can just opt for black and white. It is so easy to use. C is very into his pirates at the moment so when I saw that there was a Jolly Roger image, I had to go for it! I was pretty happy with how they looked on screen and couldn't wait for them to arrive. I received a sheet of colour sticker nametags, a sheet of colour iron-on nametags, 12 initial colour stickers and a sheet of colour stickers with my blog name on. 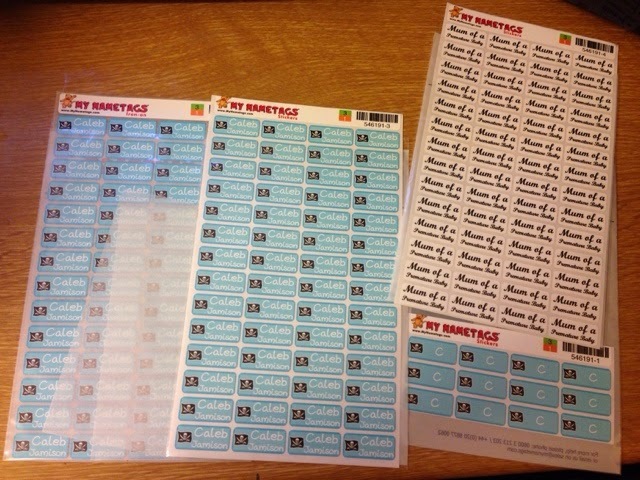 The sticker ones are really easy to use. 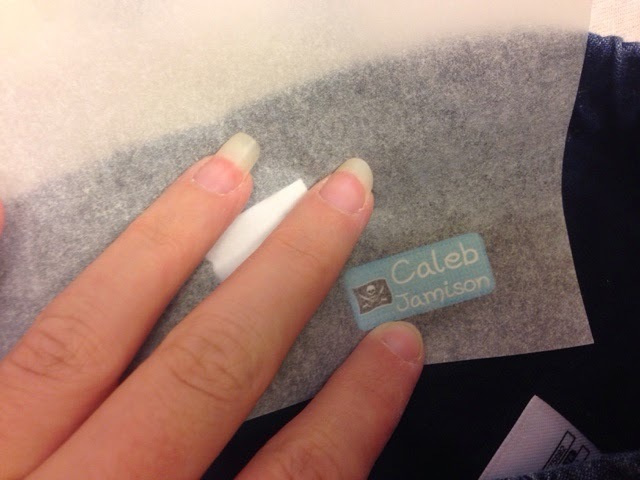 If you are labelling equipment you just need to peel the sticker off and place it on a clean, dry surface. The stickers are suitable for the microwave and dishwasher but you are advised to wait 24 hours before placing your items in the dishwasher for maximum adhesion. If you are labelling clothing you need to place the sticker on the label rather than straight on the garment and wait 24 hours before washing the clothing. The stickers are washing machine safe on 60° C.
I really like them and I actually find that they are stickier than normal stickers - if that makes sense! The iron-on labels are equally as easy. You peel the label off, place in directly on the garment this time, cover it with the silicone paper provided, heat iron to the maximum temperature (with steam function off) and press the iron down firmly on the label for 8-15 seconds and voila! 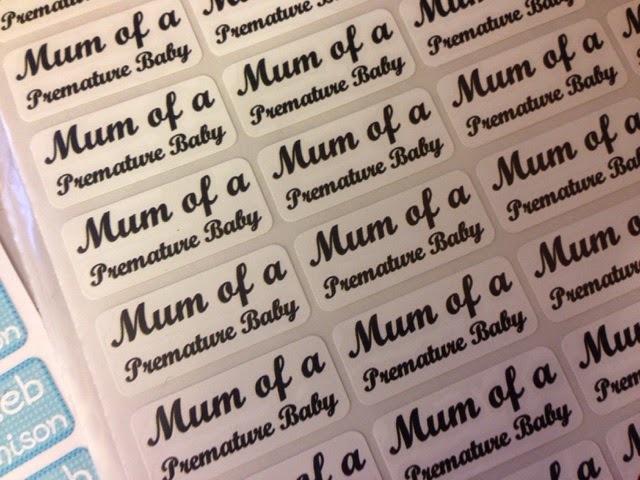 I love these nametags and they will be perfect for C's bits and bobs when he starts nursery. 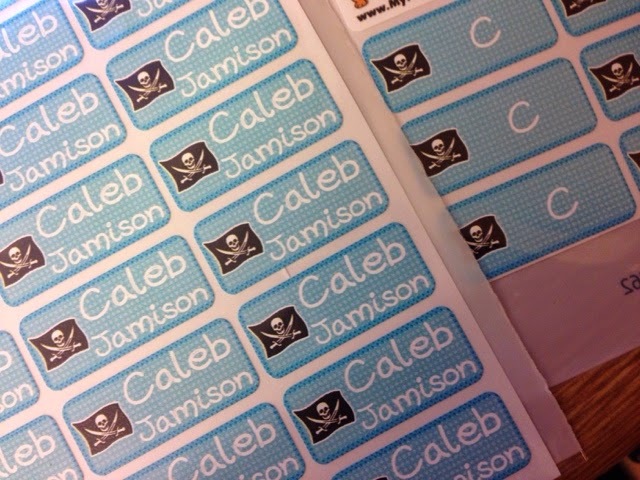 They stick really well and the fun design appeals to children. 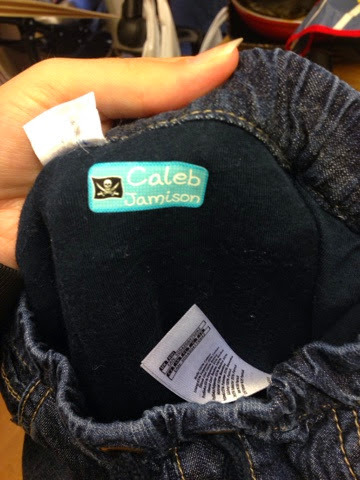 They are a lot better than the old fashioned 'name written on the label with permanent marker' trick! 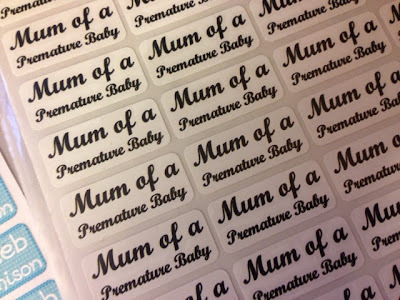 Prices start from £11.95 and you can find out more about MyNameTags on their website, Facebook & Twitter. 1 comment on "My Name Tags - Review"